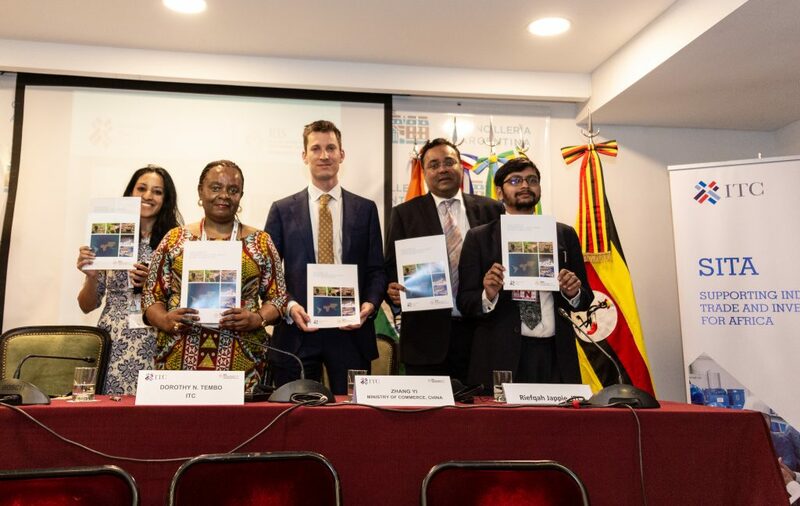 In the fourth year of its implementation, besides the expansion of trade and investment promotion activities and capacity building activities for value-addition, Supporting Indian Trade and Investment for Africa (SITA) is launching select spin-off projects that will scale up its early results in certain key sectors. In Ethiopia, one such spin-off is focused on strengthening the handloom value chain. Under the new spin-off project, SITA organised a technical training programme on “Advanced Weaving Techniques and Technologies” in Bengaluru, India, in association with Industree Foundation. 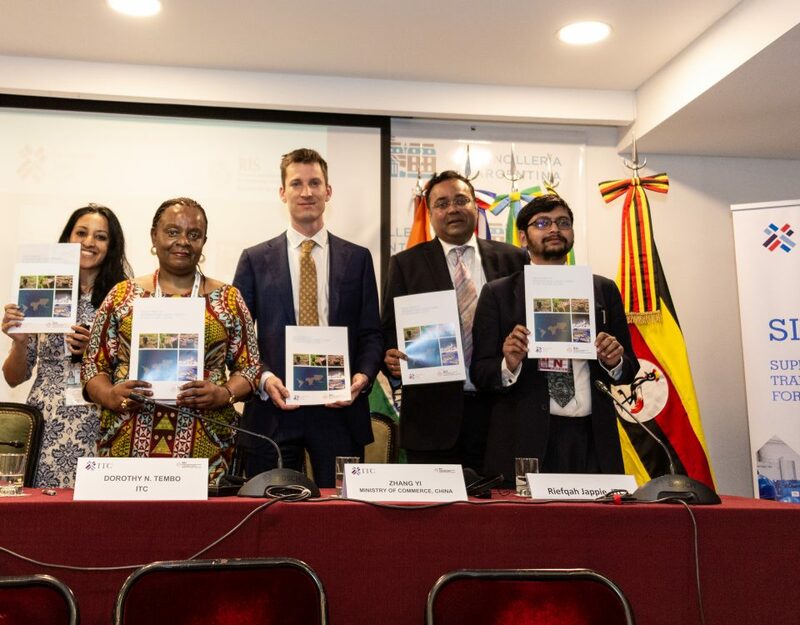 The training is part of a larger initiative to strengthen the Ethiopian handloom value chain – from farm to fashion – through the transfer of technology and best practices from India. The intervention encompasses skilling, capacity-building, technology transfer, leadership training, and market development. The initial pilot has just begun in 2018 and will be carried out in Bahir Dar in the Amhara region of Ethiopia. 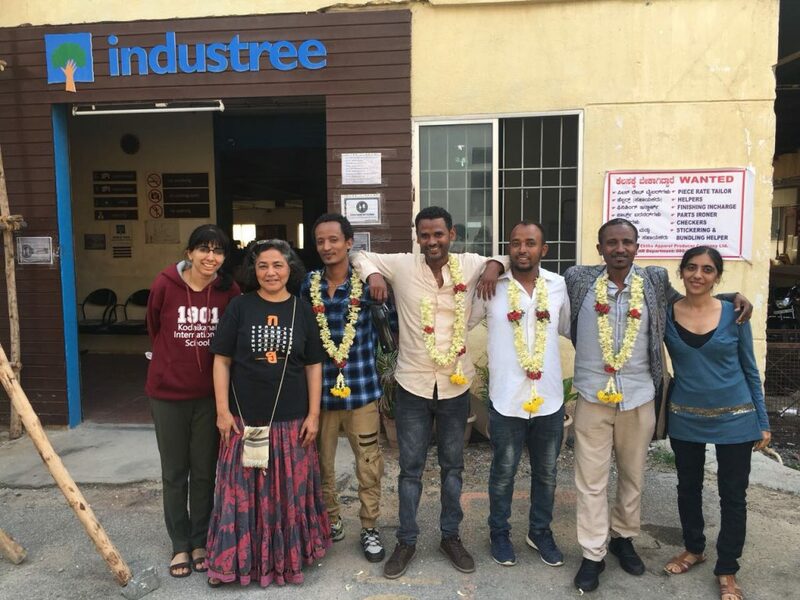 Based in Bengaluru, Industree Foundation focuses on building sustainable livelihoods in the creative manufacturing sector to ensure that underemployed women can have high and regular incomes, decent and equitable working conditions, and the ability to cope with life crises. Industree’s Mission Creative Million is a movement designed to impact one million creative producers over the next 10 years through strategic interventions in the creative manufacturing sector. Creative manufacturing – also known as “handicrafts” – is the backbone of the rural non-farm economy in India. It encompasses the production of apparel, lifestyle and artisanal food, and is estimated to employ over 60 million people in India. Today, India has a vast pool of expertise in technology as well as knowledge of developing these products to meet growing international demand, while preserving the traditional weaving heritage in the country. Innovative new business models have sprung up in the sector combining modern management and production processes, with a diversified market orientation all geared towards sustainability and high social impact. These models will be tapped for best practices to be adapted and replicated in Ethiopia. 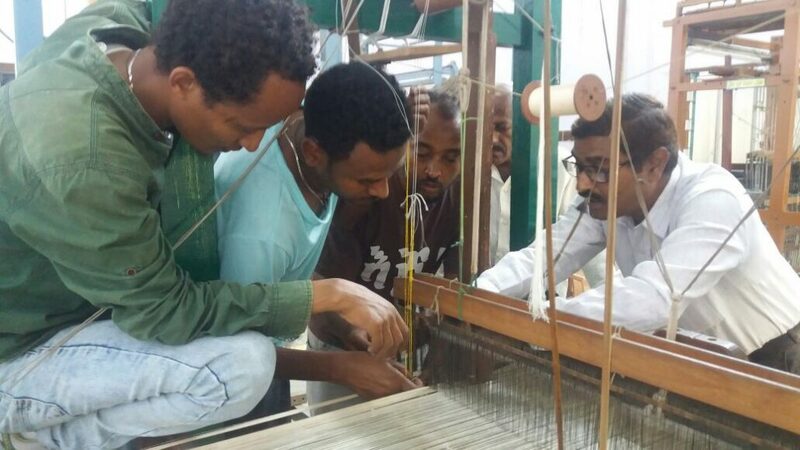 Four Ethiopian master weavers from the Bahir Dar region participated in the Weavers’ training programme, held from 23 April – 5 May 2018. 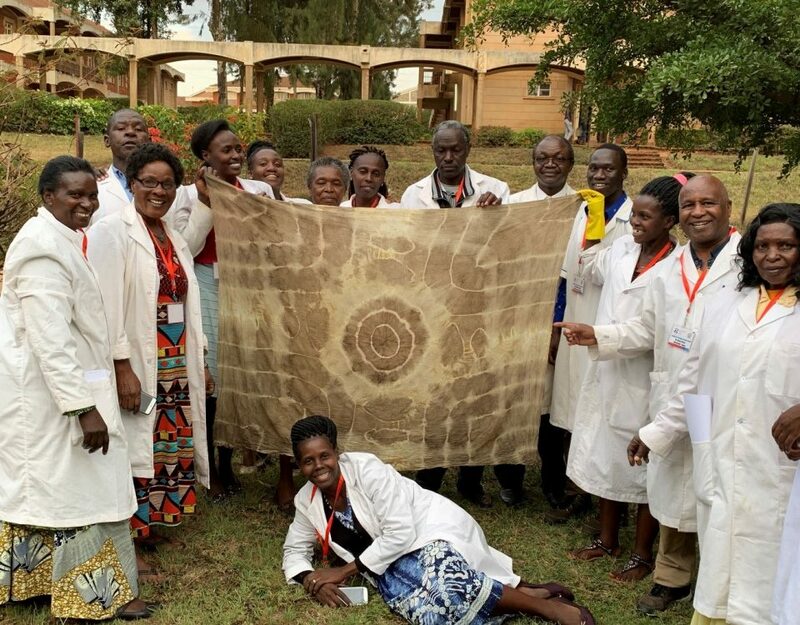 The training aimed to expose weavers to new technologies and designs to see whether some of these technologies may be beneficial and adaptable to the Ethiopian context. 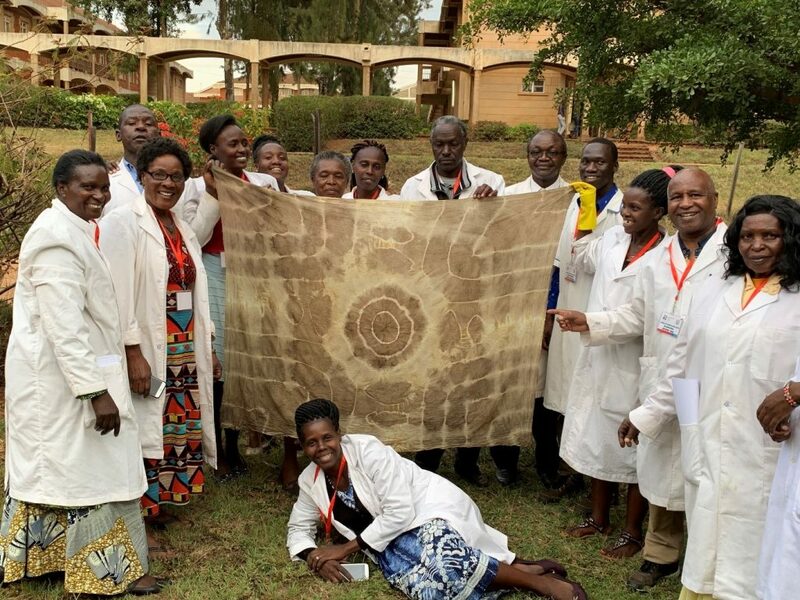 Beyond introducing the technologies, the training programme also sought to help the weavers to familiarize themselves with the mechanics enabling them to execute traditional designs using the new technologies as well as develop new designs. The programme envisages that the master weavers and trainers will subsequently train other weavers in their region to spread the acquired knowledge and know-how from their training in India. As part of the training, the weavers were shown different semi-automated looms, and along with Indian technicians they learnt to set up a solar powered loom. The participants found that such looms would be beneficial in reducing the strenuous manual work for many of the weavers in Ethiopia. The weavers also received training at the Central Silk Technological Research Institute (CSTRI) in Bengaluru, where they learnt about Jacquard and dobby weaving techniques. While jacquard weaving is quite complex and would require considerable practice to master, it enables the weavers to try out much more intricate designs. The dobby technology also allows for more intricate geometric patterns but is less complex and inexpensive to build. ‘The training has shown me new technologies that will help us add more designs. With respect to production, the solar power loom is better while the dobby and jacquard are good for making more design effects,’ commented Wubishet Tegegne. ‘The training was very nice and I especially understand the dobby technology. 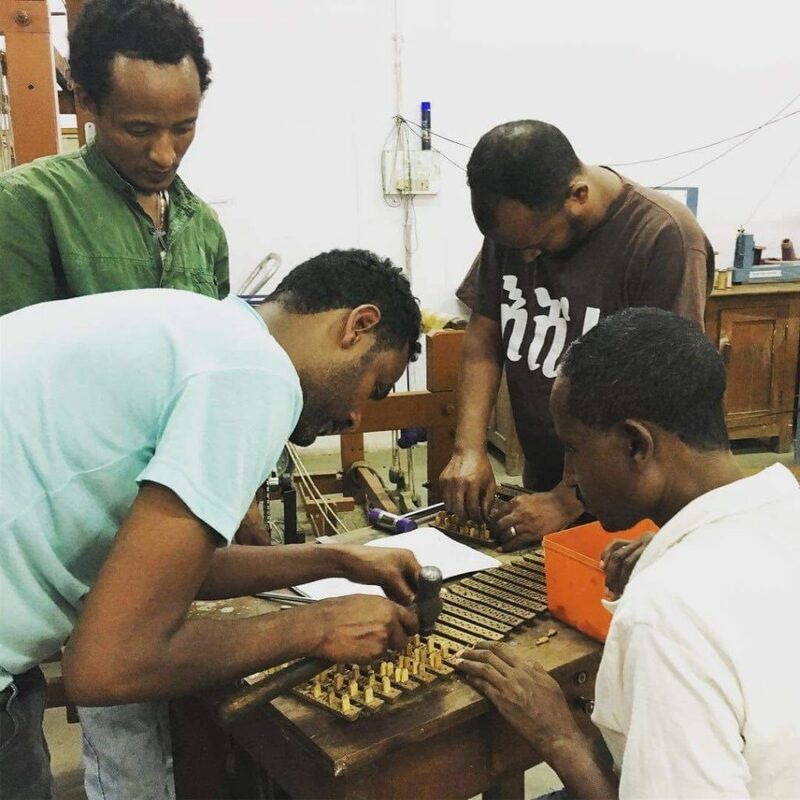 These technologies help to produce better designs, which will help us to improve and increase our income,’ said Esmael Jemal, who is planning to make his own dobby in Ethiopia to further try out new designs. ‘It motivates me more to especially produce finer designs,’ added Getachew Fente. 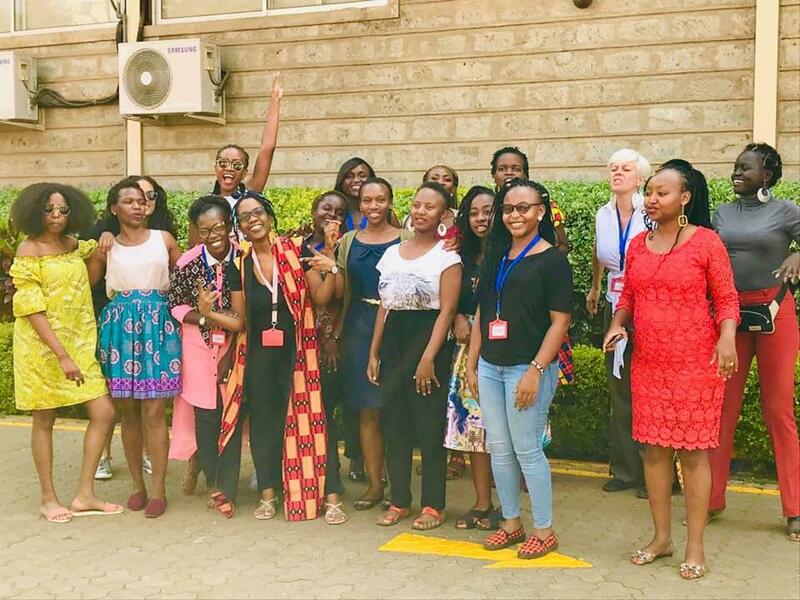 The training also included a session on the basics of entrepreneurship and producer ownership to help creative producers gain access to an enabling ecosystem and work in self-owned enterprises. ‘The artisans were able to graph their designs and weave it as well. They have already resolved to try to adapt it to their existing looms. This is proof of their interest in innovation, and has created an ownership already in the design-led enterprise building, which is the next step in the initiative,’ Ms. Singh said.